Mobilize – The Mobile Marketing Handbook is the practical informational guide you need to get a solid handle on the ins and outs of mobile marketing. This guide uncovers the take action industry secrets you need in your back pocket to succeed with your on-the-go marketing plan. The key is starting with the information the experts use to conquer their niche markets. Using tactical strategies to help drive forward their “reach out and touch you connections.” So you can take control of your mobile marketing vision with elite confidence and know-how. Information is great but focused sensational information is better. 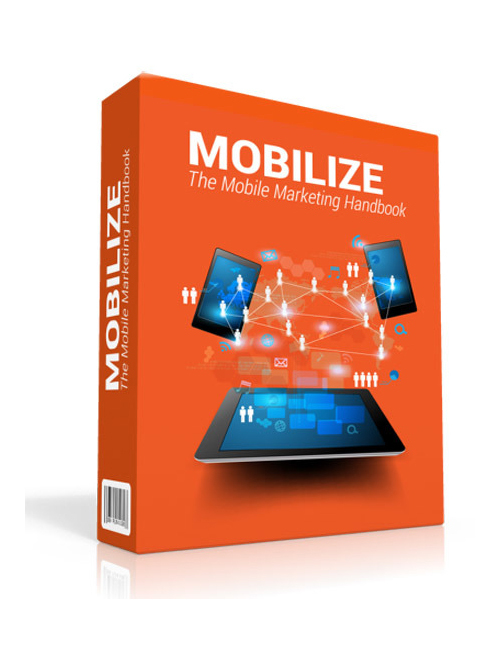 Mobilize – The Mobile Marketing Handbook is your guide for success. Grab it and get started today if you’re serious!